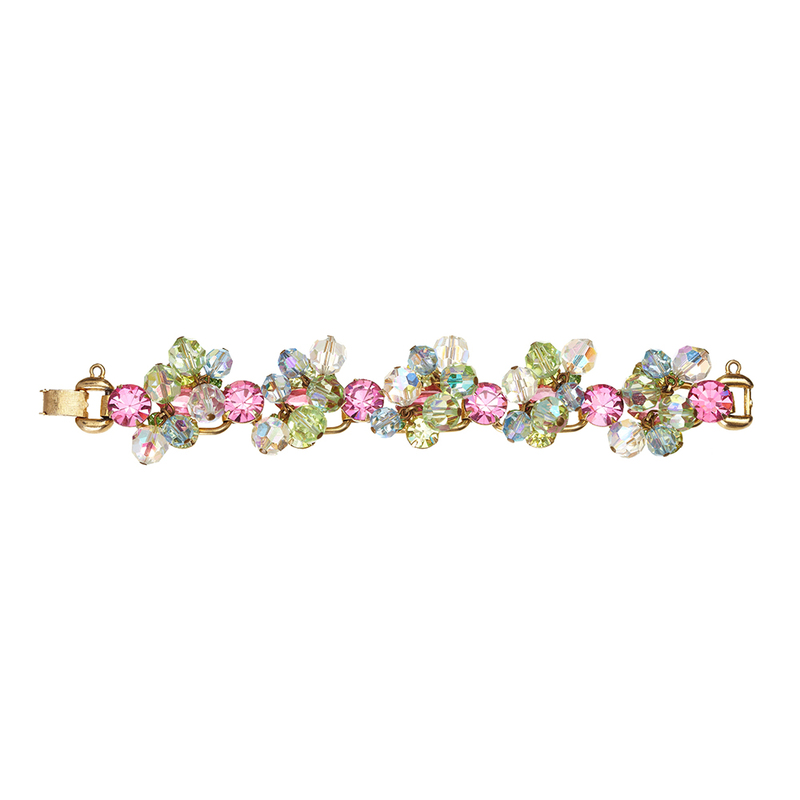 A delightful bracelet by Juliana featuring clusters of pastel coloured Swarovski rhinestones in Pink, Green, Yellow, Blue and Crystal AB. 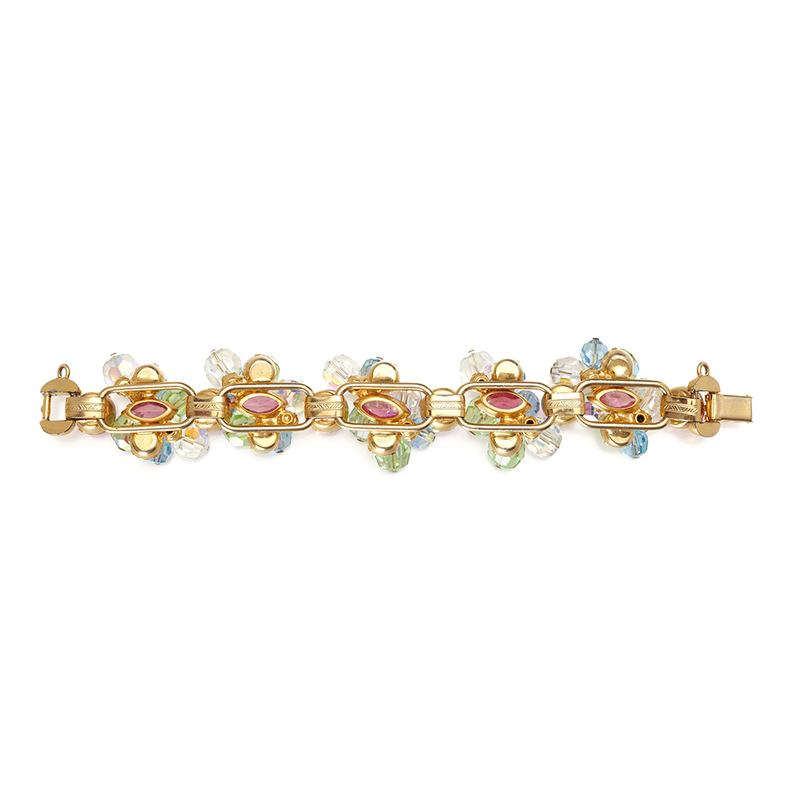 The design is Gold tone and in the classic juliana style, made up of of 5 large articulated links, adorned with crystals which jangle and catch the light beautifully. It comes complete with its original safety chain and measures 18cm long x 3cm wide. Perfect for Spring/Summer and ideal for those pastel lovers! The De Lizza & Elster Company was founded in New York in 1947 by William DeLizza & Harold Elster. 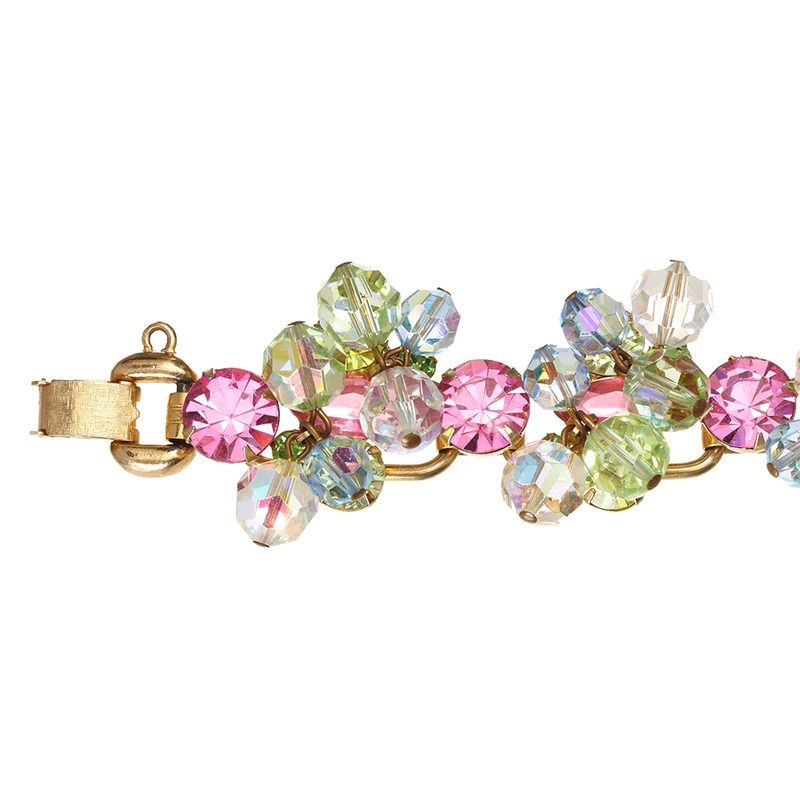 Juliana is a style of jewellery that they produced during the 1950s and 60s. DeLizza named the brand after his mother, Juliana. Juliana jewellery was not signed but in 1967 started to carry paper tags, but this only lasted two years. D & E produced jewellery for several other companies including Weiss, Alice Caviness, Celebrity, Hobe and Hattie Carnegie. Harold Elster died in 1964, but the De Lizza & Elster Company carried on till the late 1990s. Juliana jewellery is known for its quality construction, weight and stunning coloured rhinestones.